It's mid April in Rocky Mountain National Park and some of Dream Lake is still frozen from a long winters slumber. Ice is quickly melting from the surface of Dream Lake allowing for a beautiful reflection of Hallett Peak and Flattop Mountain in the cool alpine waters. 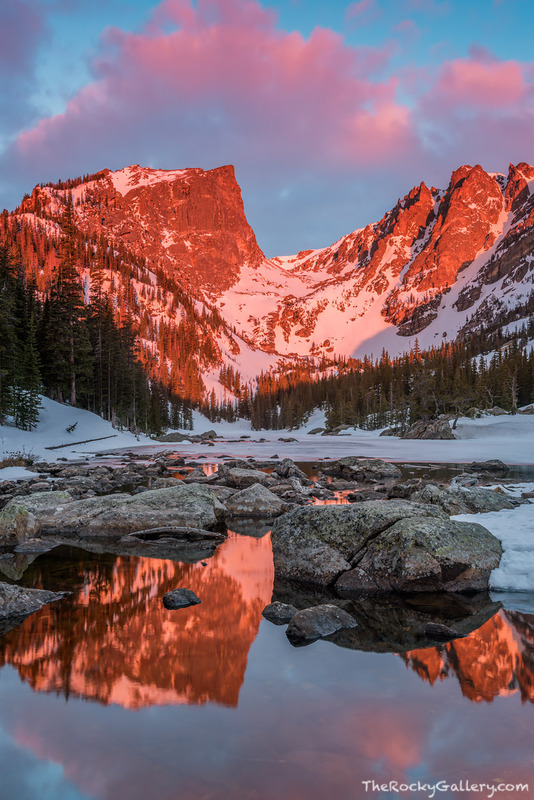 It's hard to tire of this iconic view and watching sunrise from the shore of Dream Lake is something all vistors to RMNP should do. Photo © copyright by Thomas Mangan.